MassCUE is a nonprofit organization of technology-using educators whose mission is to create, share and support visions of teaching and learning that focus on uses of technology which enhance the educational environment. MassCUE membership offers free subscriptions to our professional journal on Cue, our monthly event calendar, discounts on professional development events and access to our members-only online benefits. In addition, MassCUE hosts two professional conferences each year and provides professional development opportunities for teachers and administrators throughout Massachusetts. Join and make a difference in the future of education in Massachusetts! 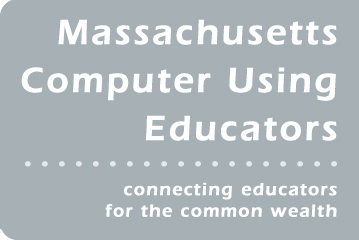 Thank you to MassCUE for being a Bronze sponsor!